People turn to yoga for relief from all sorts of ailments – aches and pains, insomnia, headaches, stress and many more. Now, recent research is adding another condition to the list: pulmonary arterial hypertension. Pulmonary arterial hypertension is the medical term for high blood pressure in the arteries of the lungs and right heart. It often includes dyspnea (labored breathing or shortness of breath), which can lead to anxiety and depression. But there is good news for these patients. Supervised yoga practice may help, research shows. 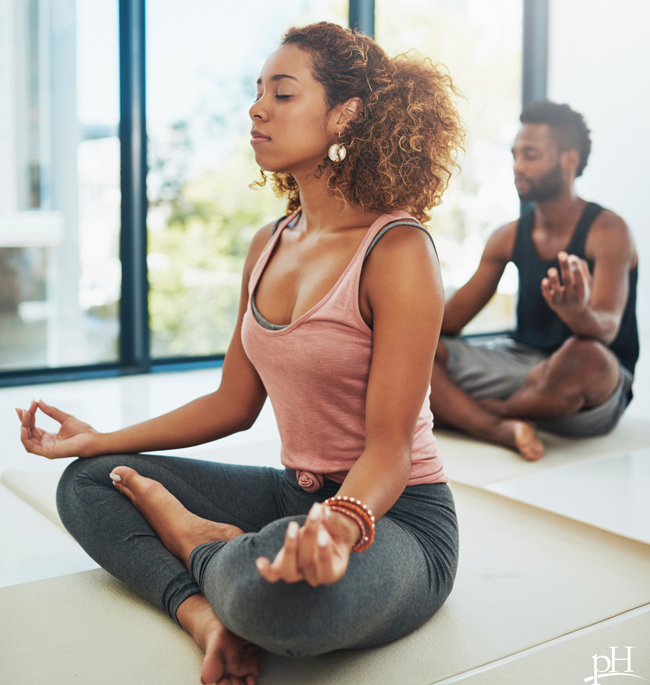 A small study found that a yoga regimen of 12 weekly two-hour sessions significantly improved anxiety, depression and quality-of-life scores in adults with pulmonary hypertension. The type of yoga practiced was lyengar yoga. And you don’t have to be incredibly limber or athletic to do it. Teachers can adjust the poses to make them accessible to all levels and abilities using props (blankets, belts or blocks). The study was conducted at two Canadian pulmonary arterial hypertension clinics, and the average age of the 48 patients in the study was 57. More than half of them were on a combination of hypertension-specific therapies, and a little less than a third of them were on oxygen. Prior to this study, yoga hadn’t really been assessed among patients with pulmonary hypertension, “partly because people are afraid of exercising patients with lung disease,” said lead researcher Mitesh Thakrar, M.D., from the University of Calgary in Alberta, Canada. However, they discovered only benefits, and no adverse effects. These findings, presented at the International Society for Heart and Lung Transplantation 2016 Scientific Sessions, are promising for the thousands of people living with this disease.